A great haircut can showcase your personality, give you confidence and keep your hair healthy. At HQ Salon, our expert Lakewood stylists can transform your look with an amazing hair cut that fits your personality and style! We love giving cuts that let our clients make bold statements, turn heads and leave our clients feeling confident and beautiful! Our talented, experienced stylists provide all types of haircuts for women, men and children. Regardless of whether you want a trim or a total style revamp, we can give you the cut that will make you look and feel your best! Our stylists are highly skilled at cutting all types of hair – curly or straight, thick or thin, damaged or otherwise. Haircuts for Children Younger than 12 Start at $30. Don’t know what type of cut you want? Bring in a picture or simply talk to one of our Lakewood stylists. We are ready to help you figure out the best cut for your face, personality, look and overall style! If you regularly heat style your hair, take a day off every now and again to give your hair a break. Time for trim? Ready to Revamp Your Style? 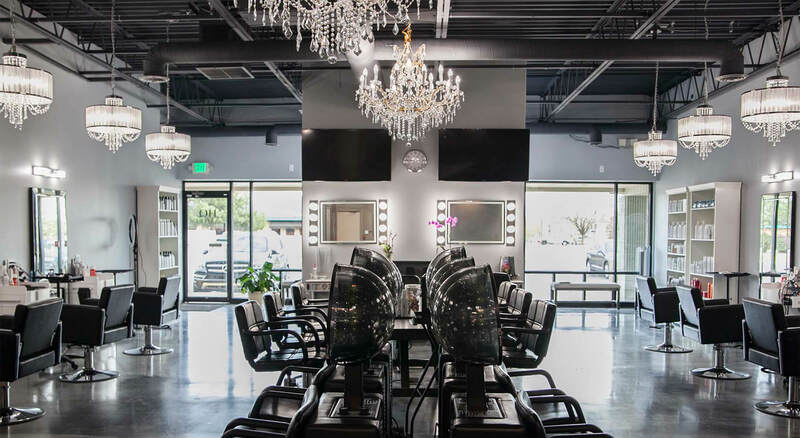 Up to date with the latest styles, trends and innovations in haircuts and styles, we are ready to offer you the best salon services in and around Lakewood. HQ Salon welcomes all types of clients – women, men and children. To provide the optimal client experience, we pair our amazing services and products with amenities like a beer and wine bar, a snack bar, free parking and free WiFi. We look forward to serving you and styling your hair!